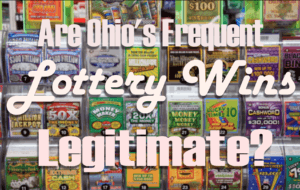 What’s With Ohio’s Frequent Lottery Wins? A database analysis of an Ohio Lottery in 2014 revealed that the state harbors some of the luckiest lottery players around, just behind Massachusetts, New York, Illinois and Georgia. We’re not talking about simple wins here though—it’s far more interesting than that. The analysis revealed a stunning truth: the Buckeye State has a very high number of frequent lottery winners. Yes—there have been tons of players who have won on more than one occasion, so winning lottery multiple times isn’t a shock. But what makes Ohio unique is that there is a high concentration of repeat winners who have won—get this—at least a hundred times! As hard to believe as it sounds—it’s true. 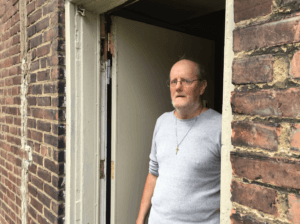 At least thirteen lottery winners in Ohio have repeatedly defied the odds countless times, with winnings of at least $600. More astonishing is the fact that some of these winners have won repeatedly in such short spans of time. At the time the analysis was conducted, the man with the highest numbers of repeat wins was Rickey Meng. In a span of seven years, Meng had a whopping 342 winning tickets claimed—which, at the time, amounted to $956,717. A lot of his prizes were at least $600. Certainly not the biggest haul as one would expect from more than 300 wins, but the record is impressive nonetheless. When asked about how he does it, Meng simply attributed his good fortune to having a feel for numbers. For instance, if certain addresses or license plate numbers would resonate with him—or “jump out” at him—then he plays those numbers. The way he describes it, it’s sounds as if it’s almost instinctual. Maybe it is, but some people—like Ronald Wasserstein, executive director of American Statistical Association—simply see it as nothing short of a statistical aberration. For Wasserstein, Meng’s 342 winning streak is inconceivable. He’s not wrong to think that. After all, lotteries aren’t exactly easy to win. Some, like the SuperEnalotto lottery, are known for the long odds of winning. And even if lotteries offer favorable odds, it’s still not that easy—so it’s difficult to fathom how one man can defy the odds more than 300 times. If it weren’t for the official records, it would have been much easier to view Rickey Meng’s claims as some tall tale. And then there’s the fact that numerous Ohio players have impressive winning streaks of their own. Samuel J. Sliman, for instance, is confirmed by the Ohio State Lottery as the second most-frequent winner. The president of Canton’s Meyer’s Lake Beverage and Drive Thru, Sliman has won a whopping 268 games between 2001 and 2016. Combined, his winnings are worth $775,430. How many non-retailers are frequent winners? How legitimate are the winnings of lottery retailers? Unfortunately, we won’t know how many non-retailers (i.e. regular players) are frequent winners until the Ohio Lottery starts systematically monitoring them. As for the second question, that’s exactly what state lottery investigators are watching out for as they track frequent winners. Manojkumar Patel, for example, used to own a convenience store—which, of course, made investigators look into his numerous wins even harder. Patel was adamant that he did nothing wrong. Most of the time, he would simply play tickets that customers rejected due to errors. He got lucky on those tickets, but he and his family also bought tickets of their own. After surveillance camera footage was reviewed, the investigation team—which also went undercover and made random checks on Patel’s store four times—concluded that there was no evidence of wrongdoing on the store owner’s part. Of course, there will always be those who will try to game the system—but, as far as the investigations conducted in 2014 are concerned, most of the top frequent wins are 100% legitimate. In any case, this makes it even more tempting to move to Ohio!